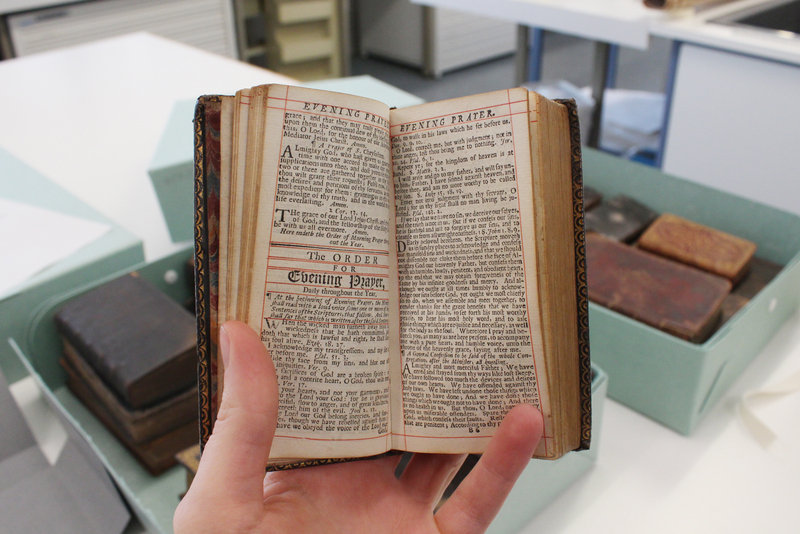 Recently I was looking for examples of early printed works in our collections, and came across D/DDc F10 – two boxes full of bibles and prayer books that belonged to the Du Cane family of Braxted Park. Most date from the eighteenth century, but some are earlier and many contain written inscriptions telling us who they were owned by. 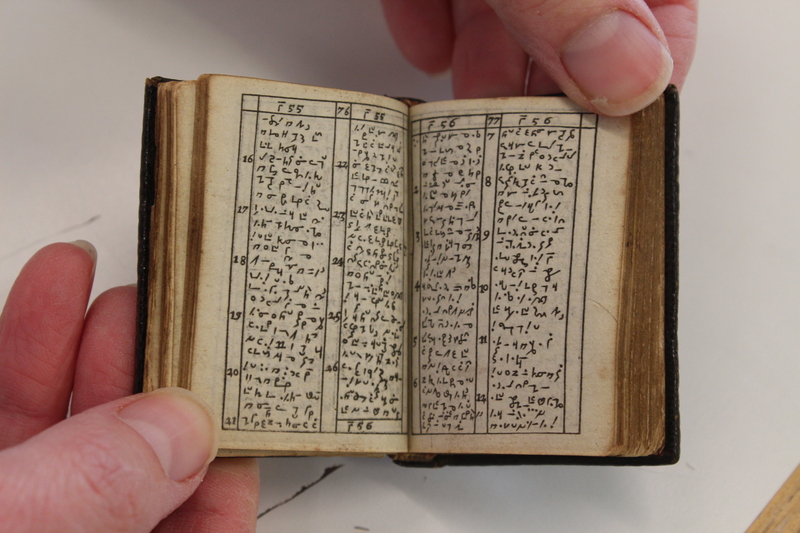 I happen to like things in miniature, so my eyes were quickly drawn to this prayer book, which is one of the smallest in the collection, and contains correspondingly tiny type. 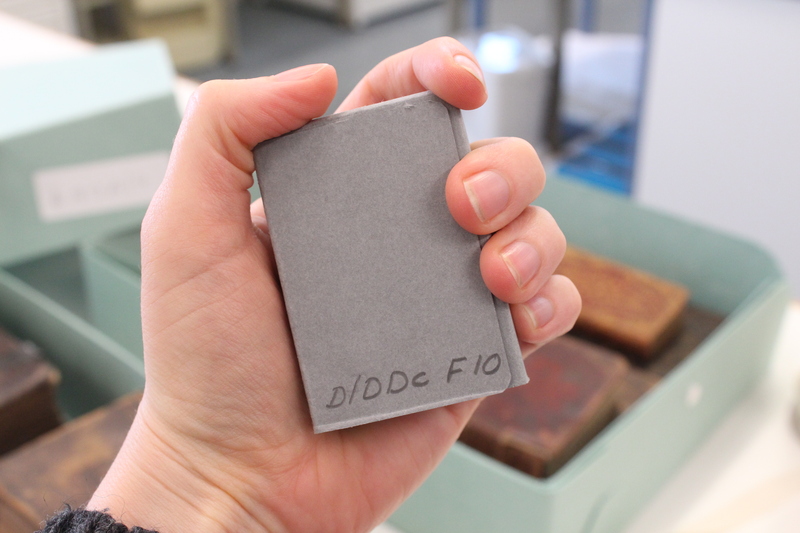 It has now had a special folder made for it to give it some extra protection when stored back in its box. 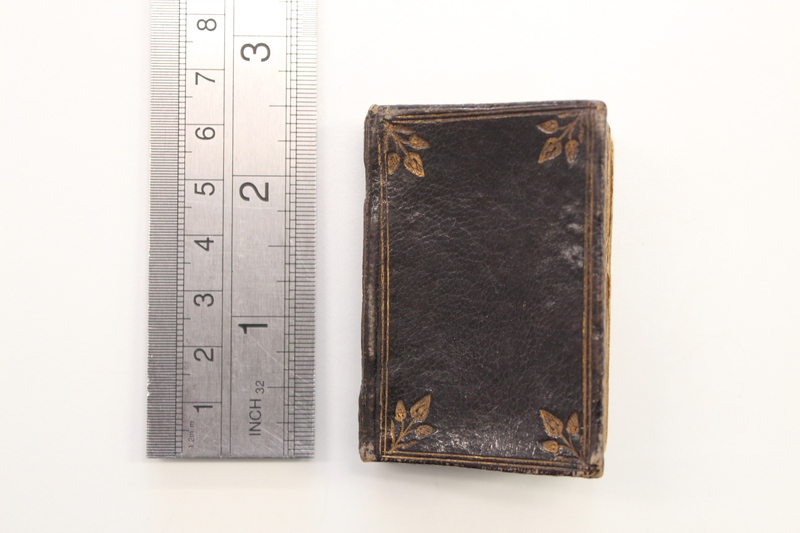 I had already enjoyed my first find, so imagine how much more excited I got on discovering this next book – even tinier at just 2.5 inches high. 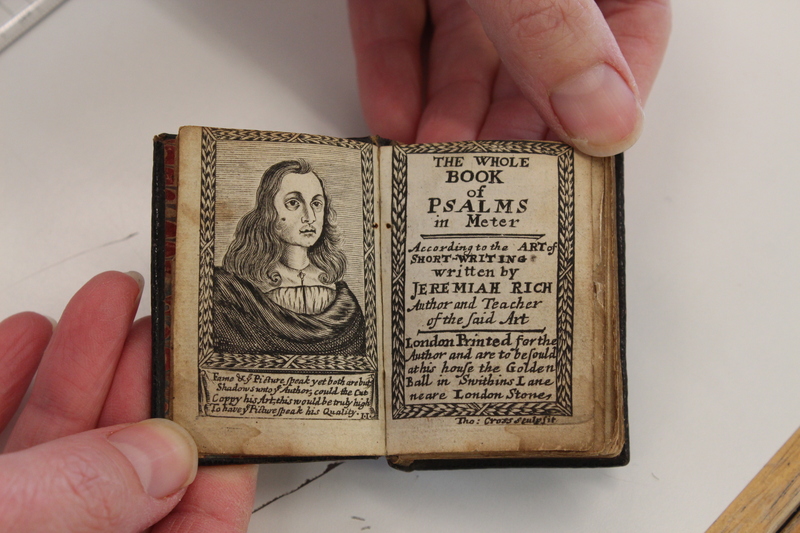 It is a book of psalms written in a kind of shorthand developed by a man named Jeremiah Rich. 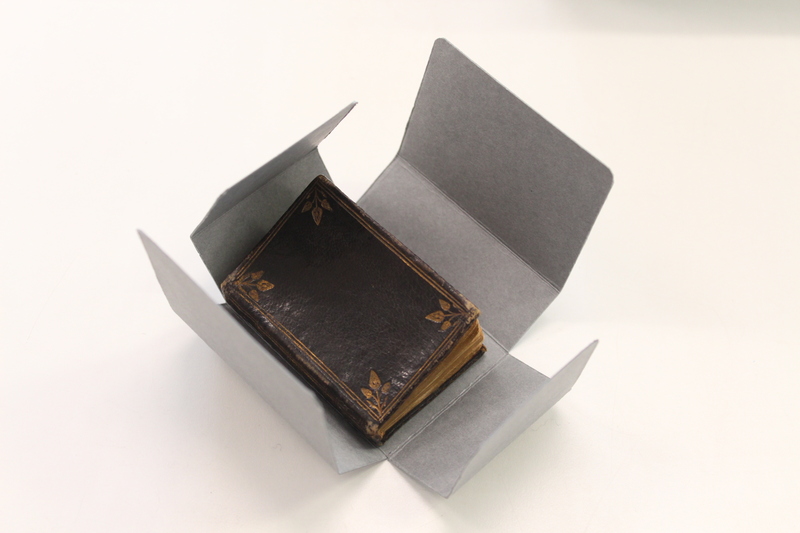 Our Conservator has also made a special folder for this extra tiny book, again to give it some extra protection when it is stored with its larger neighbours. 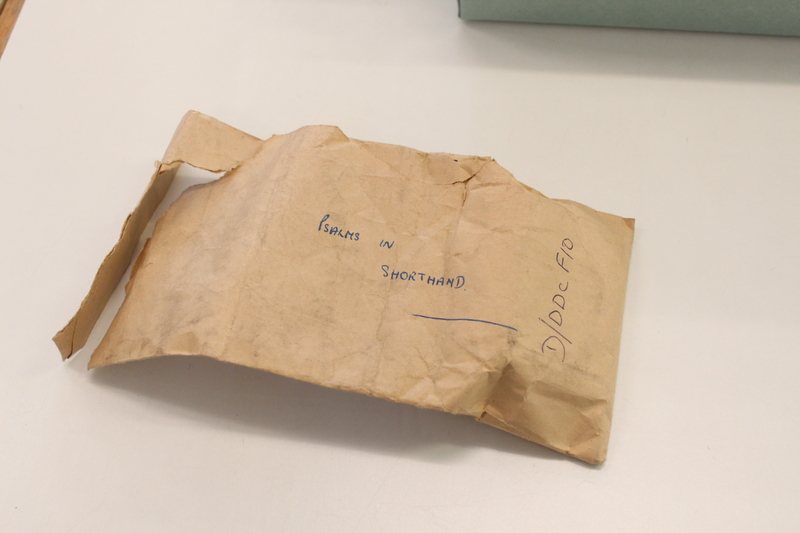 The book was originally stored in this scruffy envelope inside the box, so the new folder is a considerable improvement! 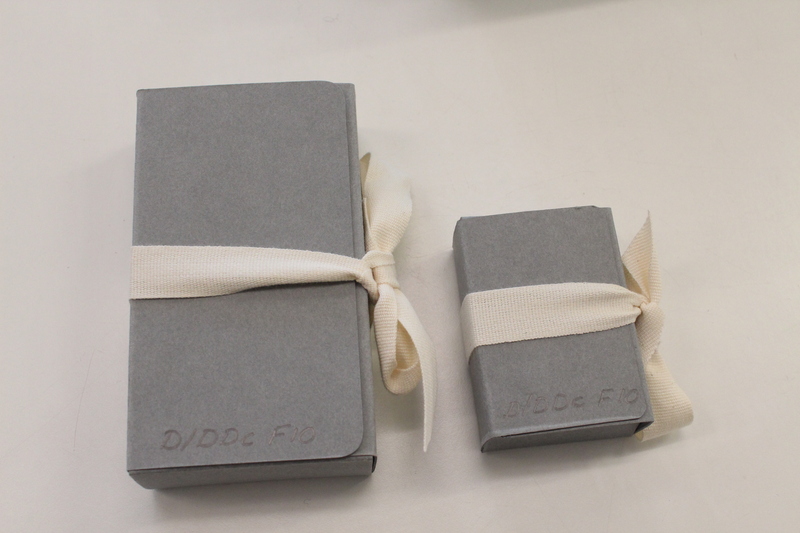 Both books are now neatly and safely wrapped up in their new folders ready to go back into their box and back into store. 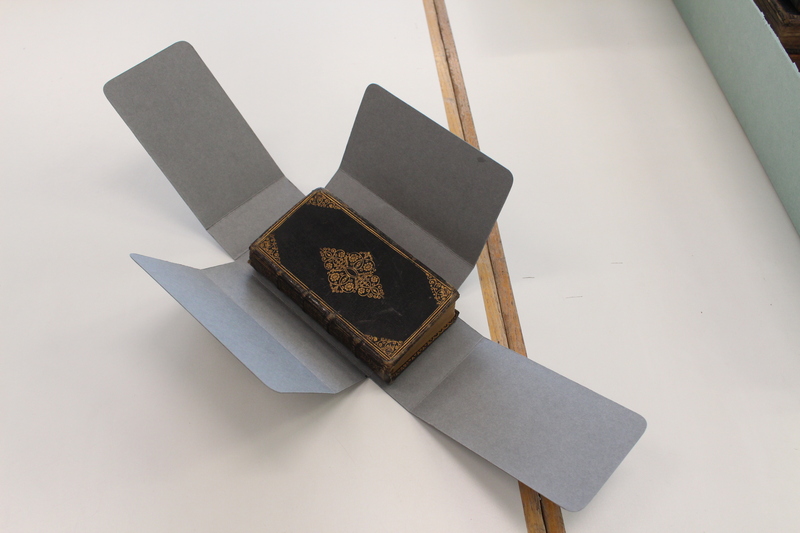 If you are a fan of books, why not join one of our bookbinding workshops to make your own book using traditional techniques? 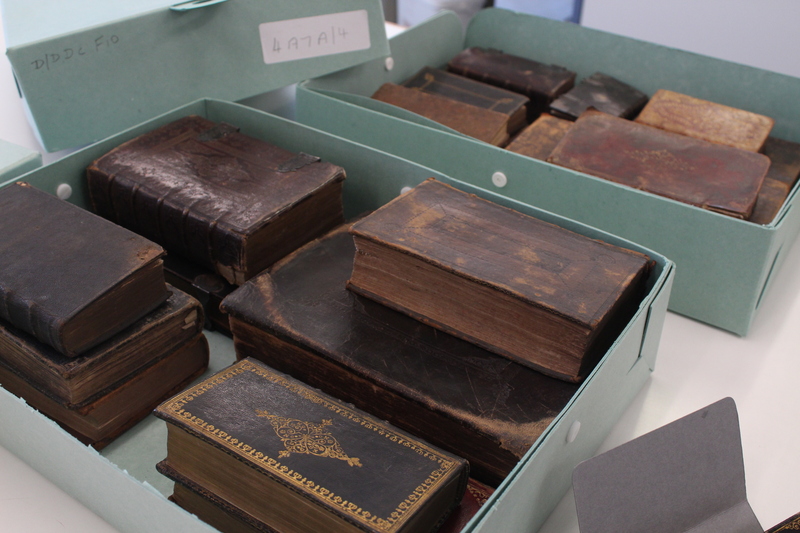 The next course begins on 2 March 2015 – details can be found on our events page.